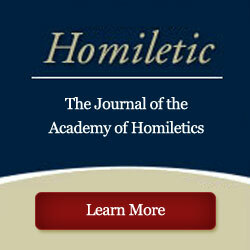 Want to inquire about eligibility for membership in the Academy of Homiletics? Membership may be offered by the Academy to any regular or adjunct faculty member in a graduate/professional school of theology who teaches preaching, and may continue for persons moving into other areas of ministry. Associate membership may be offered by the Academy to graduate students preparing to teach in the field of homiletics. Fill out this form and submit your membership qualifications. I give my permission for the above information to be listed on the Academy of Homiletics online password-restricted member directory. I DO NOT give my permission for the above information to be listed on the Academy of Homiletics online password-restricted member directory. Dues are paid each Fall either as a part of Annual Meeting Registration OR through online payment of member dues (members log into members section of website and follow link to Pay Member Dues). Dues are to be paid before the Annual Meeting each year as the Username and Password for the Members Section change each year. Full Membership Dues are $75 and Associate Member Dues are $35 annually.